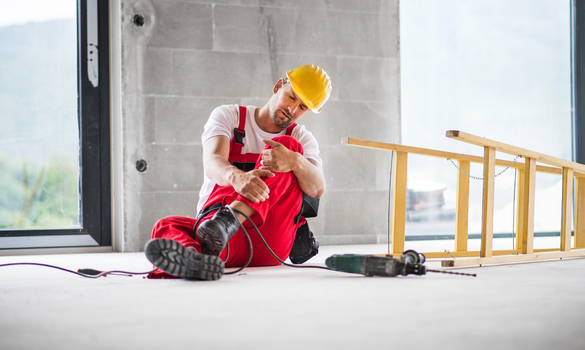 What Happens When A Contractor Is Injured On Your Site? Big builds, or small builds; organizing a construction project presents unique challenges. First, you need to have enough capital on hand with a construction loan. Then, you have to prepare to complete the project. From handling site logistics, to directing the workers, a smooth operation can fast become a bumpy road if important details are overlooked. So can you safely say you are prepared in the event that a contractor is injured on your site? Would you know the process, or what to do next? If your answer to any of these questions is a solid negative, don’t panic. Be prepared by doing the following. Construction accident claims can be successful if there is evidence of health and safety negligence. Be savvy; as a project or site manager, you need to know where the responsibility falls. All building sites need to operate in accordance with current health and safety laws, as any and every work activity is covered by it. Knowing the key pieces of legislation, outlined here by the Health and Safety Executive (HSE), is necessary groundwork to avoiding unexpected injuries that could delay the project, or worse, halt things altogether. So now you know your rights and legal expectations, you might want to consider an extra precaution: insurance. And it needn’t be complicated. Finding the right cover is a process made much simpler. Being insured is important, and the cover you need is dependent on what you need it for. Public liability insurance, cover for tools and machinery, personal accident and illness cover. There are many types of construction contractor insurance to think about. Some more important than others. For example, for building contractors with their own employees, employer’s liability insurance is mandatory. The legalities aside, it can be a lifeline in the event an employee suffers an injury, illness, or personal property damage whilst on the job. Otherwise, your entire business could be at risk from one incident. A comprehensive insurance policy will cover all of the basics for you; public and products liability, accidental death, legal expenses cover, and financial losses. But policies can also be tailored to include that all important employer’s liability insurance, as well as short-term income protection, business construction equipment, and professional indemnity, among other things. Every business has its own unique needs and circumstances. This is why you need an insurance company well-versed in the industry. Many providers specialize in insurance specifically designed for construction business of all sizes and endeavors. Coverage is instant, and their exclusive policies can be tailored to suit anyone in the sector, from self-employed tradesmen, to fully-fledged construction companies. You can find an insurance policy that fits the number of employees you have along with the scope of the work that you complete. In order to protect your company, you should have a proper insurance policy for your business. With comprehensive automatic covers and a range of optional additions, liability insurance has never been less complicated, or more affordable. Get a quote online in minutes, and buy online to keep you and yours protected during your next project.